Having a child diagnosed with cancer is challenging, but know that you don’t have to manage it alone. 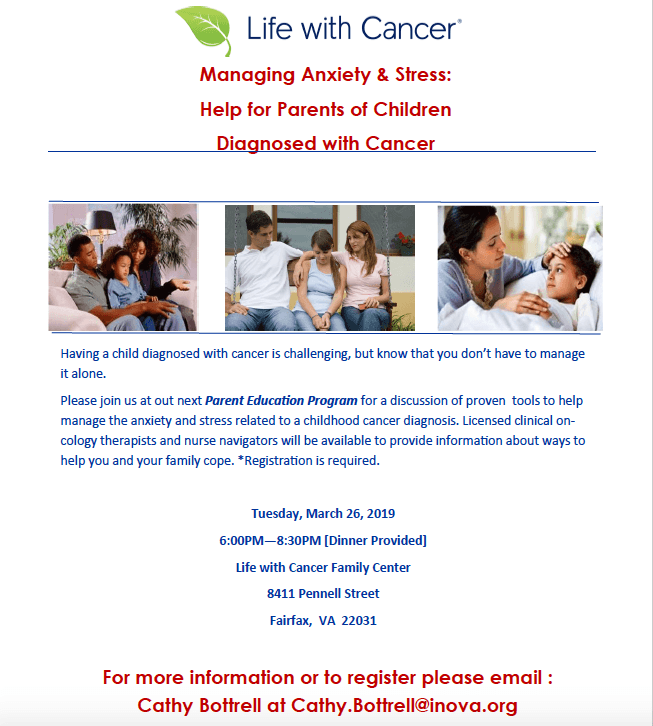 Please join us at out next Parent Education Program for a discussion of proven tools to help manage the anxiety and stress related to a childhood cancer diagnosis. Licensed clinical on-cology therapists and nurse navigators will be available to provide information about ways to help you and your family cope. *Registration is required.